We'd come to Cockley Cley because we wanted to see something advertised as The Iceni Village. It would turn out to be a rather dubious construction which included a snake pit and some gruesome severed heads on sticks. The grounds also include a nature trail, which I think is just about the only place I've ever been in Norfolk where I didn't see any nature. As we'd come into Cockley Cley I'd had to do a double take, because I thought I'd seen a sign saying 7th century church. I took a closer look. No, it really did say that. How odd. 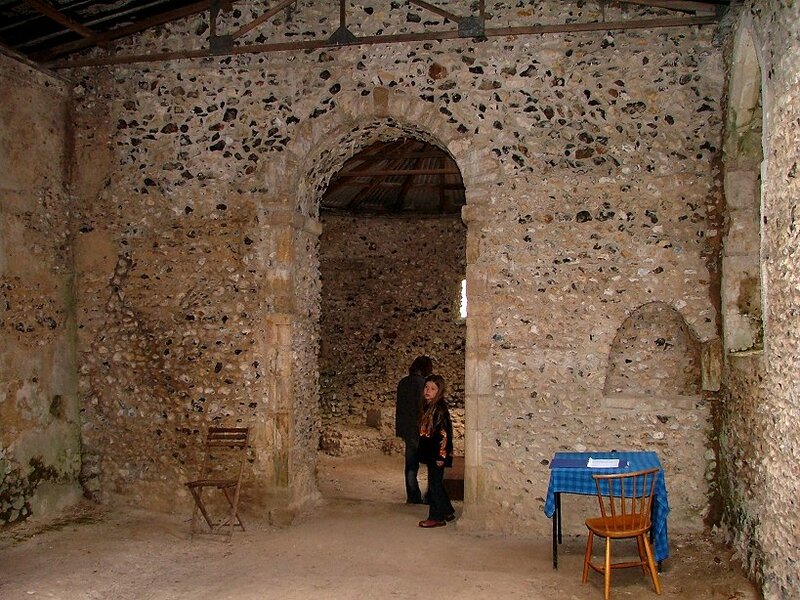 The oldest part of any church in East Anglia is generally accepted as being the tower at East Lexham, which probably dates from the early 10th century. What on earth was going on? On closer inspection, the sign also said Ticket Holders Only. 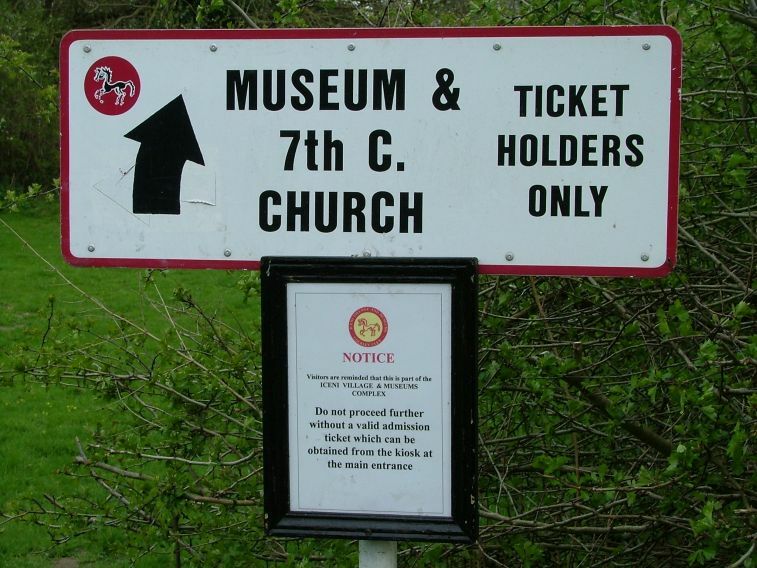 It turned out that this meant people who bought tickets for the Iceni village, and so we didn't need to be fleeced twice. Feeling rather like someone entering a Ripley's Believe It Or Not! museum, I led my family up to the church. Well, it was rather good. Of course, it isn't 7th century at all. St Mary is a two-celled Norman church that was built about 1100, I should think. 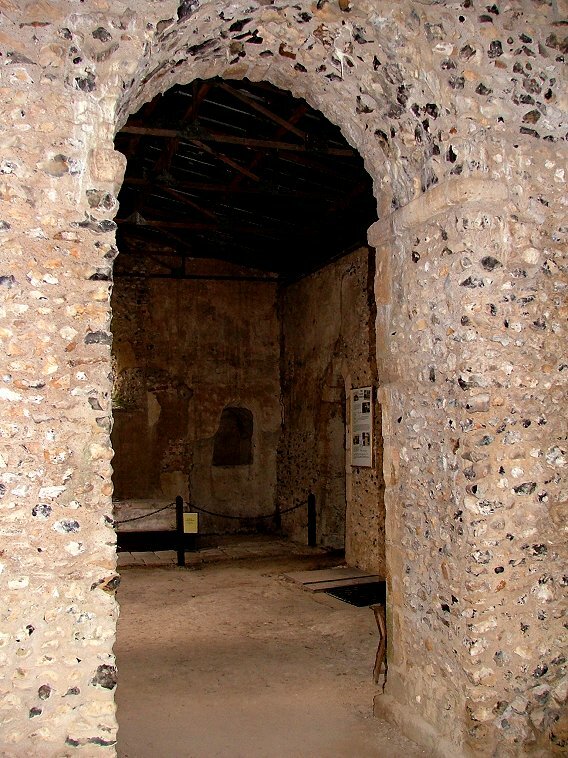 The east end is apsed, and there is a very narrow chancel arch. 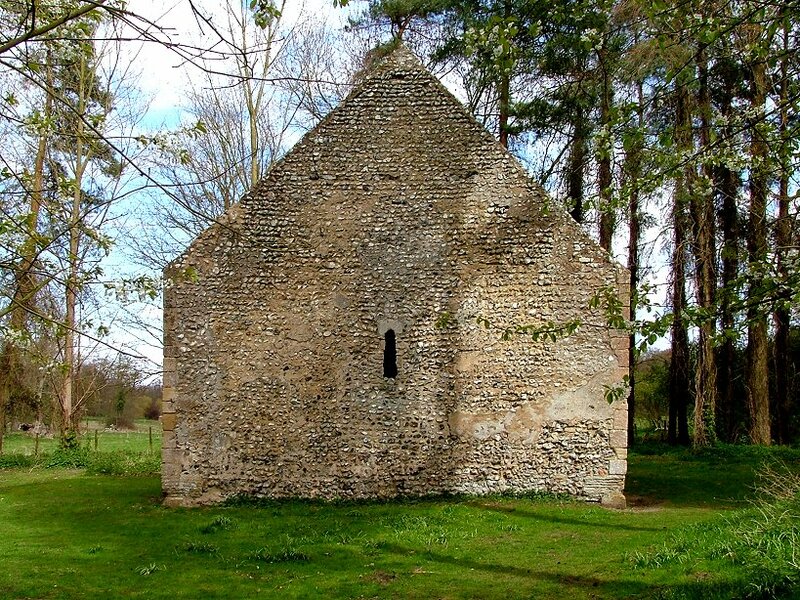 The church became redundant at the Reformation, and was converted into a cottage. 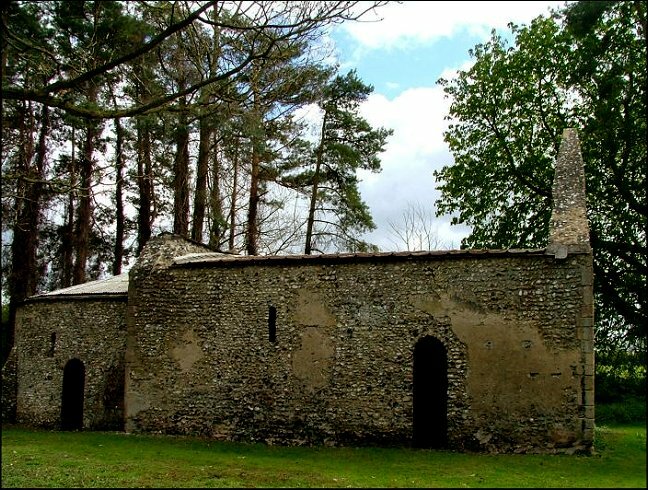 In the 1950s, it was scheduled for demolition, but Norman stonework was revealed and the church was discovered under the skin of the cottage, so to speak. The local landowner, Sir Peter Roberts of Cockley Cley Hall, oversaw the restoration. 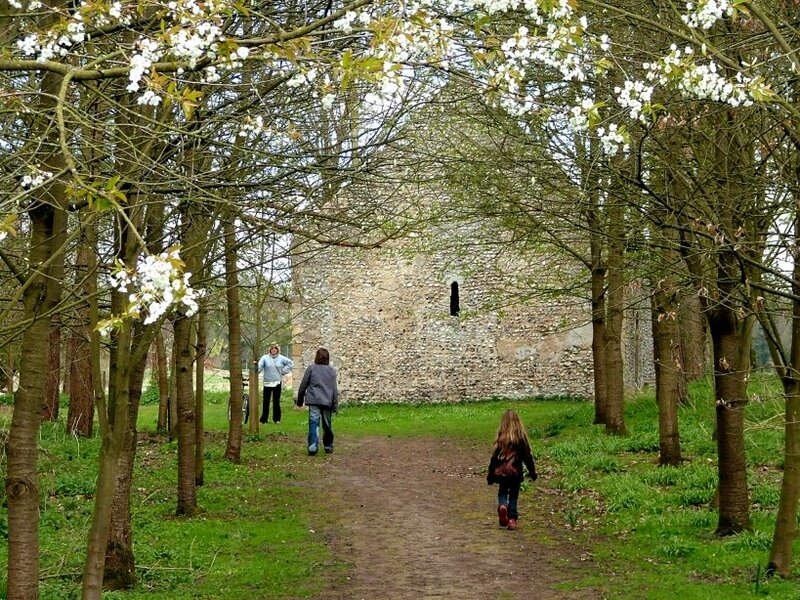 As a 12th century Norman church, St Mary is contemporary with such well-known Norfolk churches as Hales and Heckingham, and has none of the later restorations and additions that they underwent. 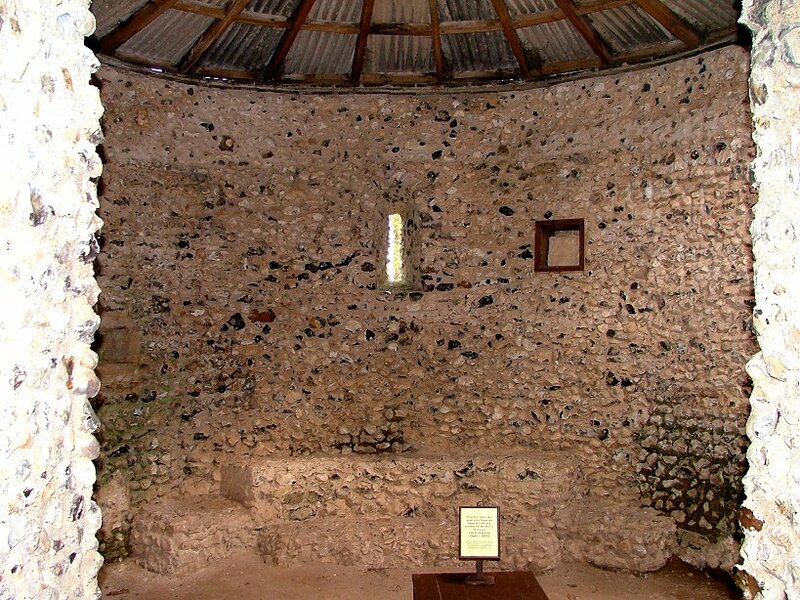 A certain amount of suspension of disbelief is required; there are no two-headed babies or men who can eat broken glass, but there is a 'genuine' Roman coffin and a memorial that claims to be the last resting place of St Fursey's brother. 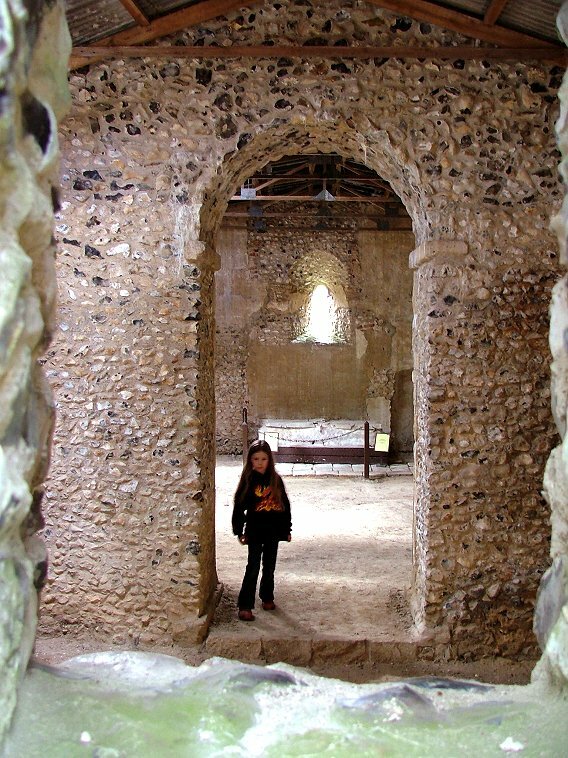 As Fursey arrived in East Anglia in about 630 AD, the body must have been kicking around for half a millennium before it was laid to rest here. I doubt that it is really St Fursey's brother. It seems a pity that this pretty little building has to pretend to be something that it isn't. I couldn't possibly suggest that you take a look at it without buying a ticket, but the admission fee also gives you access to the splendid Cockley Cley museum next door, a 17th century cottage that has been fitted out with contemporary features, and which must be a real boon to the village school. The Iceni village is worth a look too I suppose, if only for a giggle, but I should give the nature trail a miss unless you fancy a rest from nature.